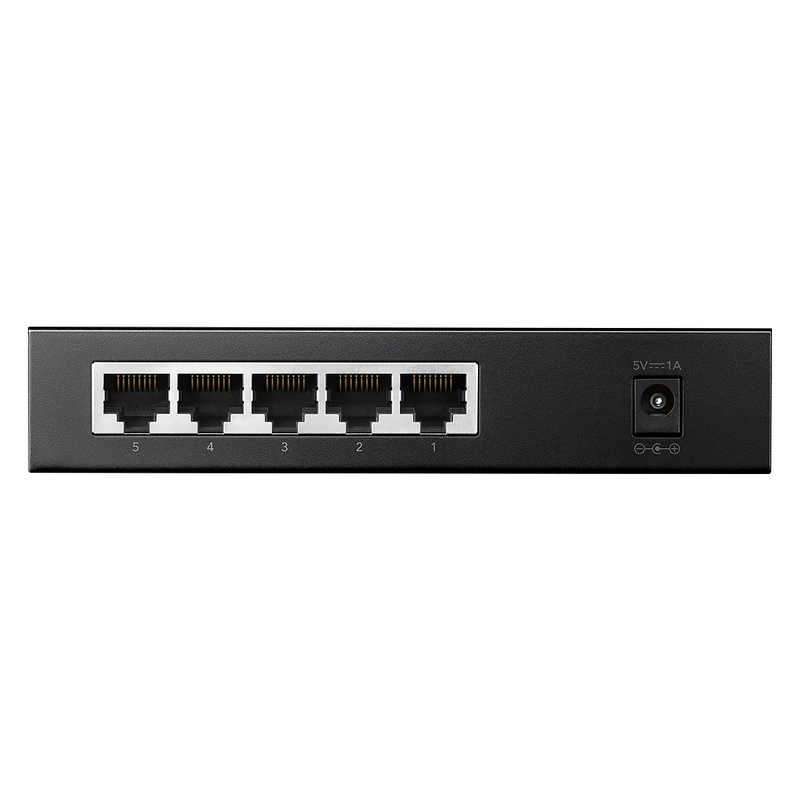 Auto-negotiation on each port detects the link speed of a Auto MDI/MDIX eliminates the need for crossover cables.Plug and play, hassle-free, no configuring is required. 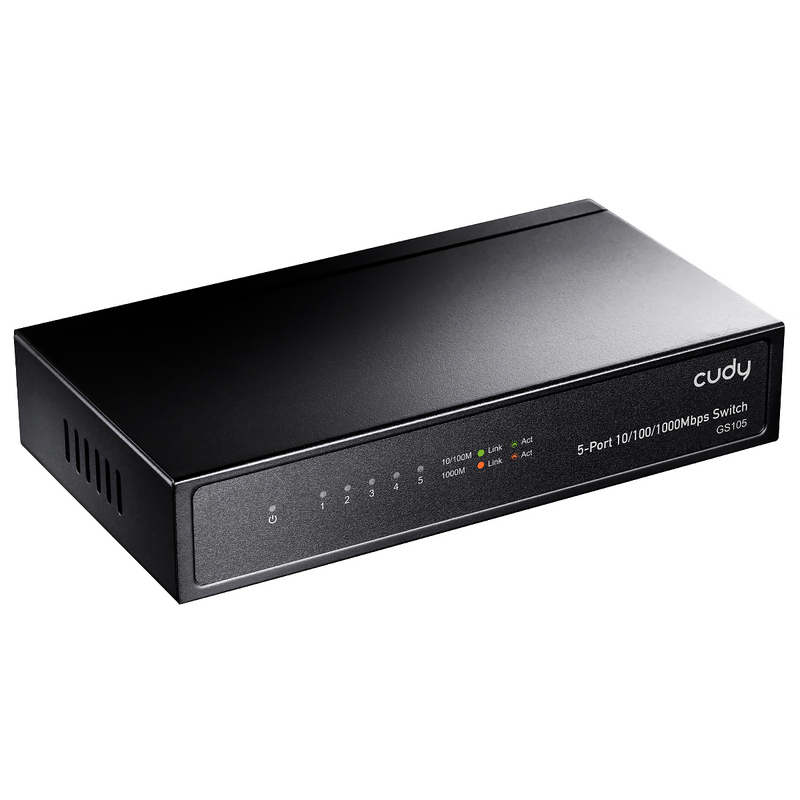 network device (10/100/1000Mbps) and intelligently adjusts for compatibility and optimal performance. Auto-negotiation RJ-45 ports can provide large file transferring and also be compatible with any 10/100/1000Mbps Ethernet devices. Featuring non-blocking switching architecture, the product forwards and filters packets at full wire-speed for maximum throughput. IEEE 802.3x flow control for Full Duplex mode and backpressure for Half Duplex mode offer increased bandwidth to alleviate network congestion, making the switch work reliably. GS105 is an advanced unmanaged enterprise switch which provides dedicated 10/100/1000Mbps Ethernet bandwidth on each port. 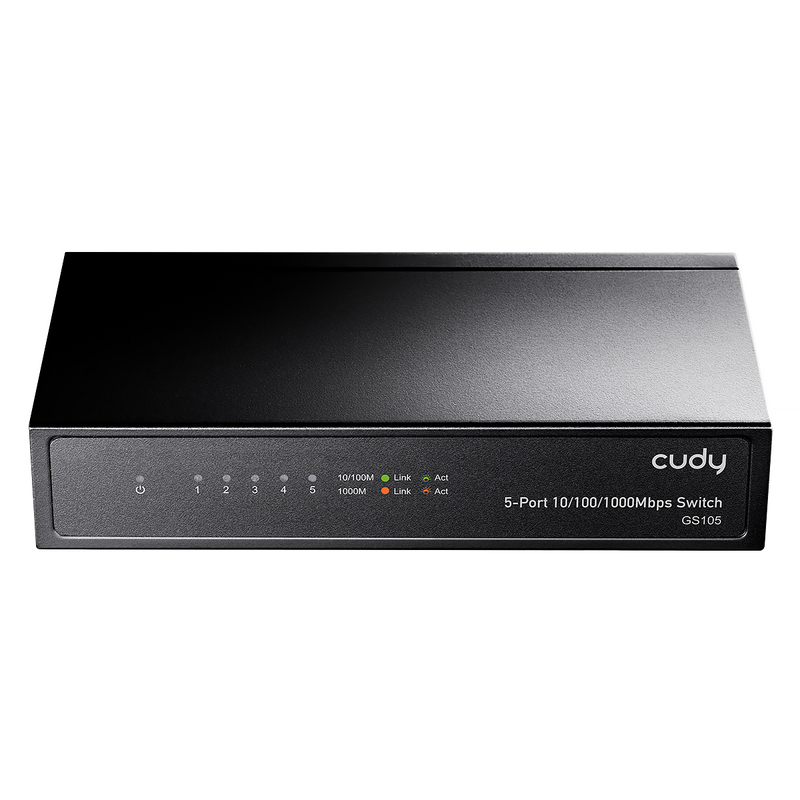 The ports will automatically detect the speed, duplex and MDI/MDIX status of the device what it is connecting to, and adjust these settings accordingly. 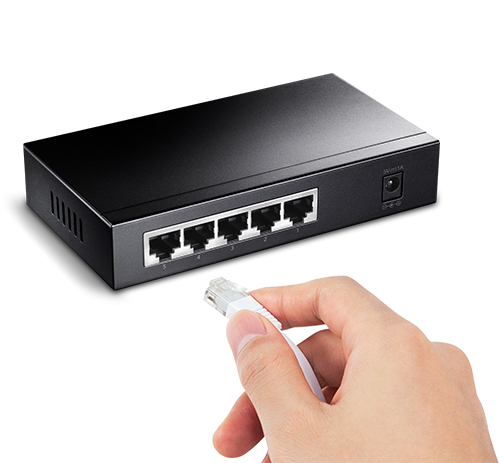 The switch ports can be used on networking computers,printers, servers, routers, other switches or any devices equipped with an Ethernet port.